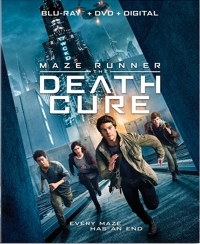 What you want to know is this: How does Maze Runner: The Death Cure stack up against the previous two installments, and how does The Maze Runner film trilogy compare with The Hunger Games and Divergent—the other popular dystopian series based on young adult novels? 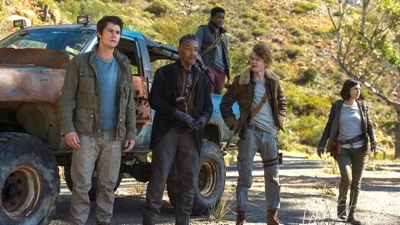 Our family thought that all three Maze Runner films were comparable in quality—ranging from a B+ to an A, depending on your age (teens leaning higher). In terms of production design and plot, this series may rely a little more on familiar post-apocalyptic tropes than the others, but it’s just as well done—again, comparable. 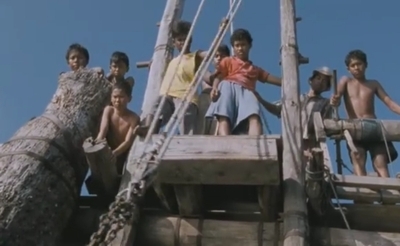 The characters are engaging, the production design is strong, and the action, though it covers familiar ground, is unique in its details. 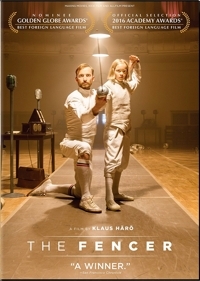 If the children in the household are 10 and older (or good readers), The Fencer is a really nice change-of-pace film for family movie night. This Finnish-Estonian film with subtitles is a high-stakes Hoosiers with foils instead of basketballs, set in Soviet-occupied Estonia in the early 1950s. Like Hoosiers, it’s the story of a coach with a secret who comes to a small school in a small town and tries to make a difference. With the coach in that Indiana roundball saga, audiences gradually learn about his past; in this film, subtitles in the first sequence explain the man’s dilemma: Estonia was first occupied by the Nazis and all the young Estonian men were drafted into the German army; then the Soviets occupied Estonia and the Russian Secret Police hunted down all of those young “traitors” who had served in the German army, executing them or sending them to work camps in Siberia. So it’s not just a haunted past that follows fencing champion Endel Nelis (Märt Avandi), who, after the Secret Police become alerted to his identity, is advised by his coach to leave Leningrad and go far far away. 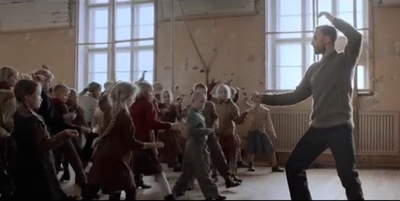 Despite the threat of death or banishment, he seeks a normal life in the small Estonian town of Haapsalu, where most of the children are fatherless because of the war and feeling that no one cares about them or their town. I did not see Paddington when it was released in 2014. I simply couldn’t bear it, since the track record for films featuring CGI animals in a world of accepting humans hasn’t exactly been the stuff of NASCAR. Movies like these are always aimed at children rather than whole families, and even the ones that stretch their audiences—films like The Muppets 2011 reboot featuring Amy Adams and Jason Segel—still seem to suffer from an acute case of the cutsies. But the trailer for Paddington 2 intrigued me. Innocent little Peruvian bear Paddington, who lives in London with a human family, somehow runs afoul of the law and ends up wearing prison pinstripes and escaping with other cons? What’s cute about that? Nothing, and that’s what interested me. I wondered, could this finally be the furry fish-out-of-water story that parents could also enjoy with their small children? Happily, the answer is an emphatic yes—which is no doubt why Paddington received a passing grade of 7.1 out of 10, while this clever, tongue-in-cheek sequel elicited an 8/10 at the Internet Movie Database with close to 25,000 moviegoers voting. It’s better than any of the Alvin and the Chipmunks, Stuart Little, or newer Muppet movies. What makes it work is that writer-director Paul King and his co-writers plant their tongues in cheek and include lines and details that will make anyone over three feet tall smile—even laugh out loud in spots. The filmmakers tap into the long tradition of the Hollywood naïves thrust into situations that are emphatically beyond their understanding or capabilities, whether we’re talking about Charlie Chaplin, The Three Stooges, The Little Rascals, Ma and Pa Kettle, or such later unlikely explorers in strange lands as Forrest Gump and the perpetually clueless Jack Sparrow. Paddington isn’t cute. He’s Austin Powers without the randiness, the straight man in a comic duo, but a ball of fur so innocent that children will still see him as adorable. Like Moulin Rouge! 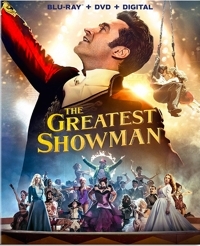 (2001) and La La Land (2016), The Greatest Showman is a musical that was written and produced especially for the big screen. It wasn’t adapted from a Broadway show nor based on a book. The lone inspiration was the curious life of P.T. Barnum, who is most famous for having founded the Barnum & Bailey Circus in 1871 and, through deft promotion, raising the status and popularity of the circus in America. Anyone who watched this year’s Oscar’s knows from watching the performance of Best Song nominee “This Is Me” (which earlier won the Golden Globe for Best Original Song) that one central message of The Greatest Showman is the unfair treatment of “freaks” and marginalized members of society. As regular readers of Family Home Theater know, I am a Tomatometer Critic at RottenTomatoes.com, but I frankly don’t know what my fellow critics’ problems are with this rousing 2017 film. 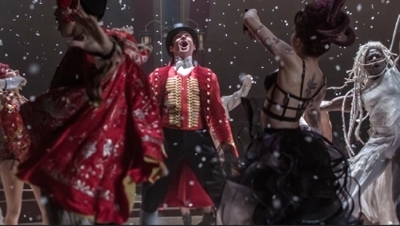 Only 113 out of 205 critics thought The Greatest Showman “fresh,” with the average rating just 6/10—a C+ or B- at best. Meanwhile, 88 percent of the 21,657 RottenTomatoes audience members who responded gave it an average score 4.4 out of 5—in the B+/A- range. What more could these people want out of a musical? 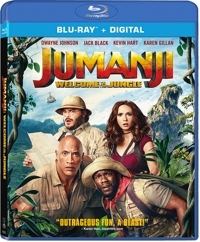 The original 1995 Jumanji starring Robin Williams was underwhelming, which is perhaps why the title of the sequel released 21 years later was changed from Jumanji 2 to Jumanji: Welcome to the Jungle. Instead of having the adventure fantastically spill out into the world of the game players, the sequel picks up more interest and steam by having the players sucked into an old video game and transported to a lush jungle world. So it’s not only updated for a video gamer generation, but also presents more visual and special effects and “levels” opportunities that young gamers can identify with. But what makes this action-comedy cute as heck and broadens its appeal so that older viewers can also enjoy it is that the four writers decided to create a high-concept film—a guaranteed-to-make-money Hollywood project that can be summarized in 25 words or less, usually via comparison. I can picture them pitching this to the studio and backers: “It’s Jumanji meets The Breakfast Club.” And it works! 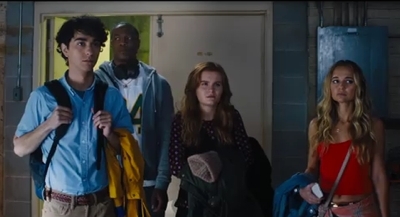 In the early going we see a teen sucked into a game way back in 1969 and then fast-forward to present day, where we’re introduced to a nerdy guy named Spencer (Alex Wolff), who has been conned into doing homework and writing papers for a star football player nicknamed Fridge (Ser’Darius Blain). We also meet a vain, self-centered young popular girl named Bethany (Madison Iseman) and an awkward marginalized girl named Martha (Morgan Turner). Somehow they all end up in detention and find themselves in a storage room crammed with all sorts of things, including an old video game they decide to plug in and play. Fans at IMBD.com liked Star Wars: The Force Awakens considerably better than Star Wars: The Last Jedi, and I’ve heard it said that it’s because they thought the humor in it was more contemporary than campy. I think that assessment is a little harsh, as there are only a few instances where the humor seems peculiar to our galaxy. For me, the last two installments in the Star Wars franchise were equally accomplished fun popcorn movies that had all the things that made the original trilogy (Episodes IV-VI) successful: humor, adventure, action, great characters, a complex-yet-decipherable storyline, and mind-boggling special and visual effects. I’m not alone in thinking them comparable. 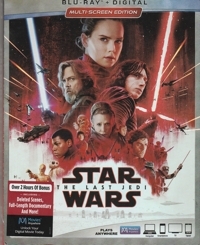 At Rottentomatoes.com, Tomatometer critics gave The Force Awakens a 93 percent fresh rating and The Last Jedi a 91 percent. Our family liked them equally well. For me, there was but one jarring moment when I thought, really? And that was when General Leia Organa (Carrie Fisher), having been jettisoned into space and floating unconscious like a piece of space junk, suddenly is awakened by the Force and then stretches out one hand and takes off like Mary Poppins extending her umbrella arm and flying off.